If your Nokia phone is restricted for the use under a particular network provider, you may need a Nokia Restriction Code to remove the restriction in your phone and be able to use it using other sim cards or network providers. The Nokia Restriction code is also called Nokia unlock code. The process of unlocking your phone from a particular service provider is practically easy, but getting the restriction code is sometimes tricky. How do I know that I Need a Restriction Code? 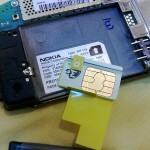 When you insert a sim card, the “Enter Restriction” Code normally appears if you use a card of other network providers other than the original carrier of your phone. This means that you need to unlock your phone to be able to use it using other sim cards. The first thing that you may do is go to your network provider to get your restriction code. If your contract to that provider is already finished, then they may give you the code easily. However, if you are still tied to them, they may not give you the code or you may be required to pay a fee. Fortunately, there are other means to get the code on your own for free using the next steps. 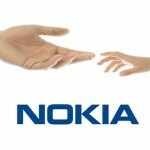 Unlocking.com is an online site that provides Nokia Restriction Codes. After providing important details about your handset, the site will automatically email the code to you. The IMEI number will usually be asked. 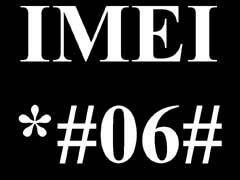 To get your IMEI number, press *#06# on your phone and the number/s shown is your IMEI number. 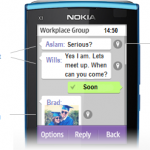 This site is also a credible online site for restrictions codes for Nokia devices. Just like the previous site, you are required to enter your IMEI number to get the code in an instant. 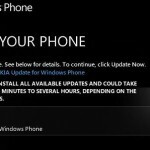 After getting your Nokia Restriction Code, your phone will be already unlocked and ready for use. Awesome content, thanks a lot !! Can you help me to receive my restriction code please? Kindly help with the restriction code for Nokia 113 with Imei: 354594052984766. Thank you. 358954058208543 IMI nokia 206 doesn’t didn’t have a code to unlock this for sunrise switzerland… would be great to get a code! hello sir can I get restrict code of Nokia 206.1 my contact is 250784297733 and my E-mail :gtracetheogene@gmail.com please help me !! can someone please help me undo restriction on nokia 2220slide please imei 352694048816460. My Nokia 501 Security Forget. my nokia phone is restricted..i need a code to break it. Hi, pls can anyone send me restriction code for Nokia x2 01.
pls I need restriction code to unlock my Nokia 113. Nokia 311 how to get my restriction code. I need nokia 3110c restriction code. I am from Bangladesh. Ma’am/Sir. please! i need of my restriction code nokia 2730c-1 IMEI: 351985/04/718232/1 thank you..